Programming kit for KANNAD ELTs and "Dongles". The latest Programming kit for all KANNAD ELTs and "Dongles". To be used in ASSOCIATION with "PROGRAMMING DONGLES". Now measure 406, 121.5 and 243 MHz in one tester! The BT100AV series exceeds the measurement requirements for ELTs in the USA (FAA Part 91.207), in Canada (CAR 571 Appendix G), and Europe (CAA / EuroCAE requirements). A cost effective solution. Eliminate the need for a spectrum analyzer and other costly equipment. 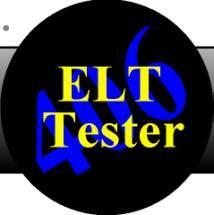 Perform annual ELT inspections without using expensive test equipment! Measure 406 MHz plus 121/243 MHz. include 406 MHz measurement capabilities. Measure 406/121/243 MHz plus frequency stability.